Slice bananas. Break eggs into a bowl. 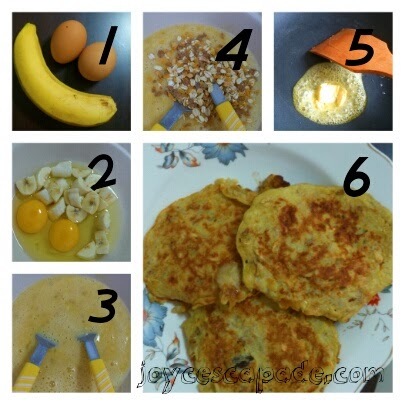 Mash bananas and mix with egg. Add mixed grains. Heat up butter in pan, scoop mixture into pan, give it about 20-30 seconds, flip, and it's done!